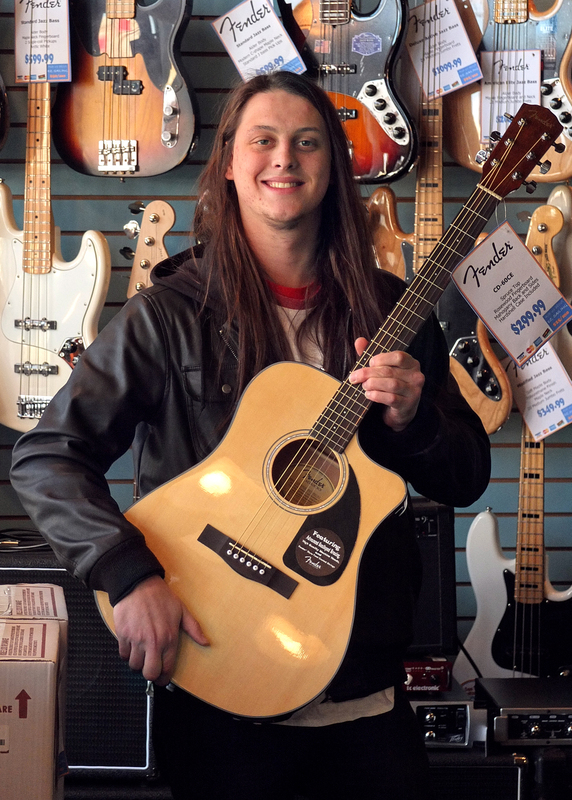 Chris Dean is an experienced and talented musician who has studied Music Theory at the College of Southern Maryland. He teaches guitar, ukulele, piano, trumpet, banjo, and mandolin. He focuses heavily on Rock, Blues, Jazz and Metal guitar playing. 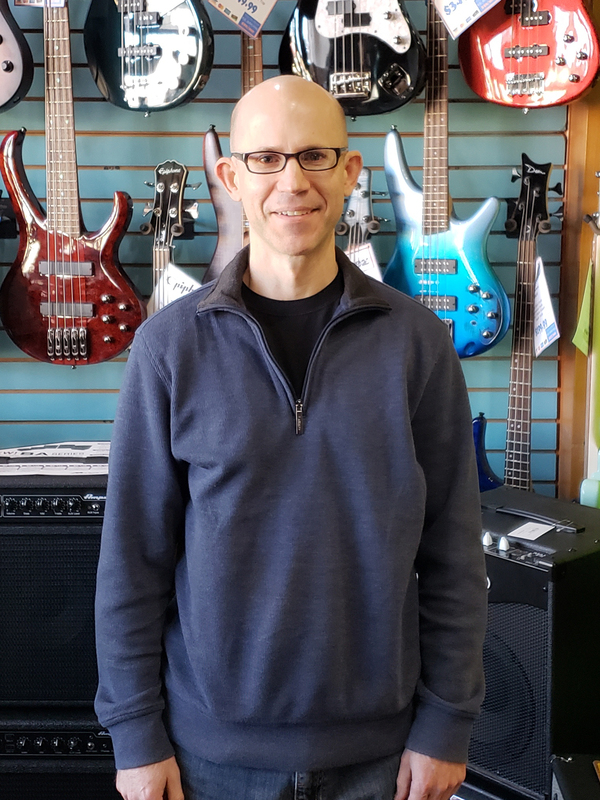 He has been teaching music lessons for nearly two years at Island Music Company and has an extensive list of clients each week teaching Monday-Thursday, 10-8, as well as Saturday's, 10-6. He teaches musicians of all ages whether you are a young aspiring musician or a seasoned musician looking for new material and help with new musical concepts. You will learn how to read music and tablature, playing anything from children's songs to traditional pieces. If you are looking for a laid back, fun yet hardworking atmosphere then Chris will be a great teacher for you. He plays in a Southern Maryland band, With Lying Eyes, who has performed at places such as College of Southern Maryland, Laplata United Methodist Church, Port Tobacco Marina, Casey Jones, and various bars and parks in the DMV area. They are also the winners of the 2016 Battle of the Bands event at Port Tobacco Marina. In addition to his extensive guitar catalog, Chris has played the trumpet since 2005, performing as the principal trumpet player with the La Plata High School Symphonic Band and for the College of Southern Maryland Latin Ensemble for three years performing at all three of the CSM campuses as well as Leonardtown Square. Ben Stern started his 20 year musical career on trumpet in the public school system in Charles County. As a student he was invited to numerous all-county, tri-county, and all-state honor bands. He attended Marshall University and Shenandoah Conservatory earning his Bachelor's and Master's of Music respectively. While in school he was a member of every ensemble on campus including band, orchestra, marching band, and jazz bands. After graduation Mr. Stern joined the Marching Ravens, the only professional marching band in the NFL. In addition to his game day duties, he also started teaching in Charles County as a long term substitute focusing on band, orchestra, and choir. 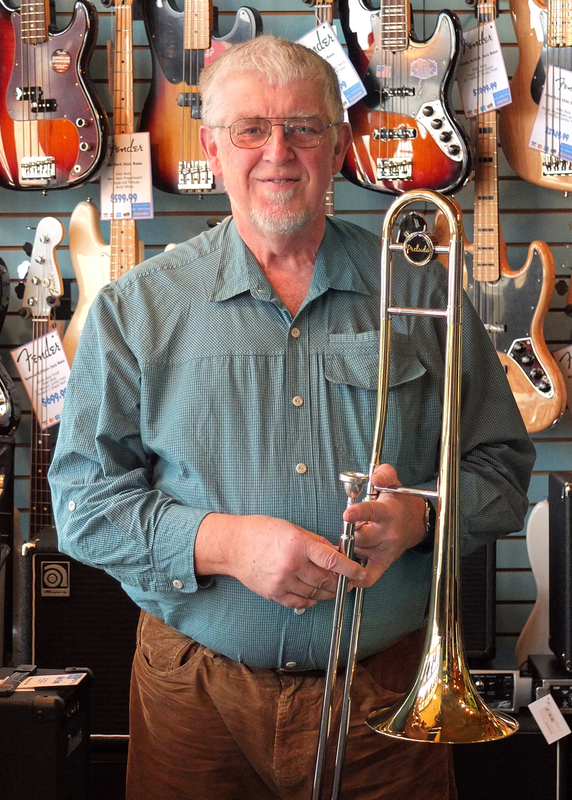 He has been teaching trumpet and trombone among other instruments at Island music for 3 years and extends his welcome to any students who want to get some insight on their instrument. 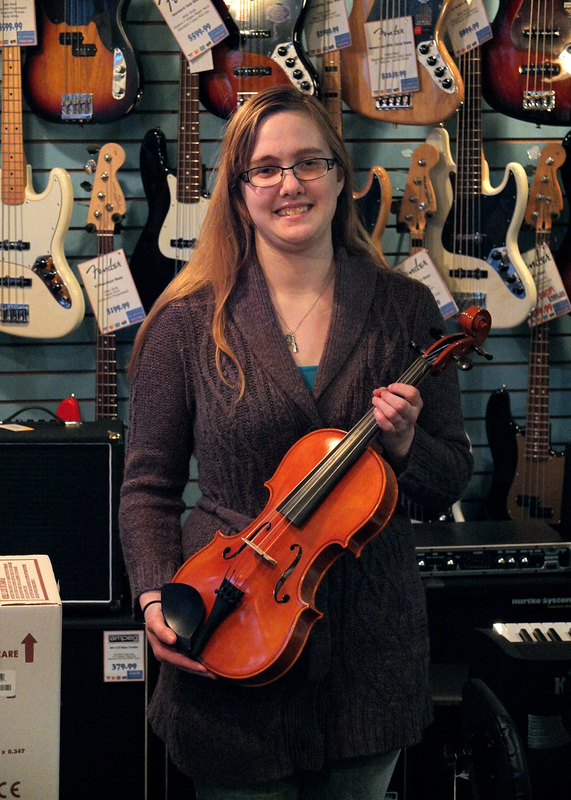 Christine started viola in the 4th grade and has been playing for over 20 years. 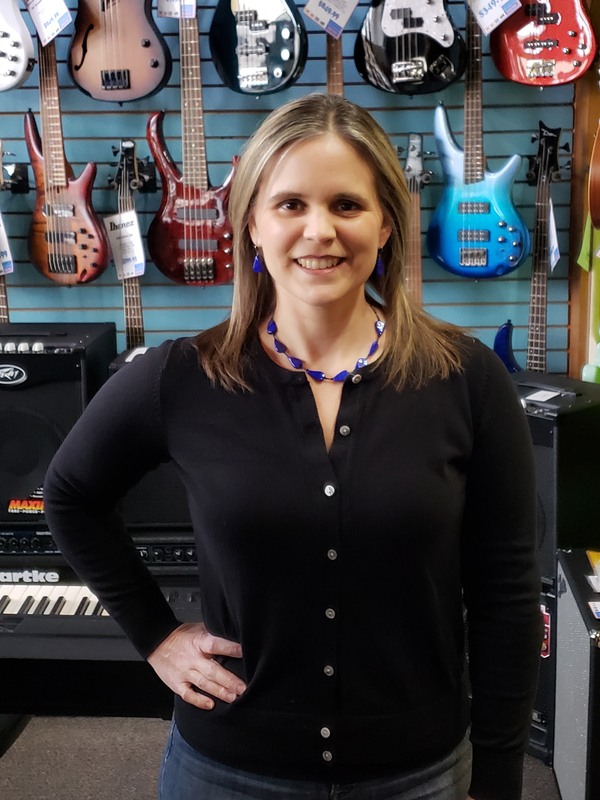 She has received a Bachelor's degree in Music Education from the College of Saint Rose in Albany, New York and is currently an elementary music teacher for Charles County Public Schools. Christine specializes in the orchestral strings. She has performed most styles of music in a variety of settings including Lincoln Center's Avery Fisher Hall in New York City. 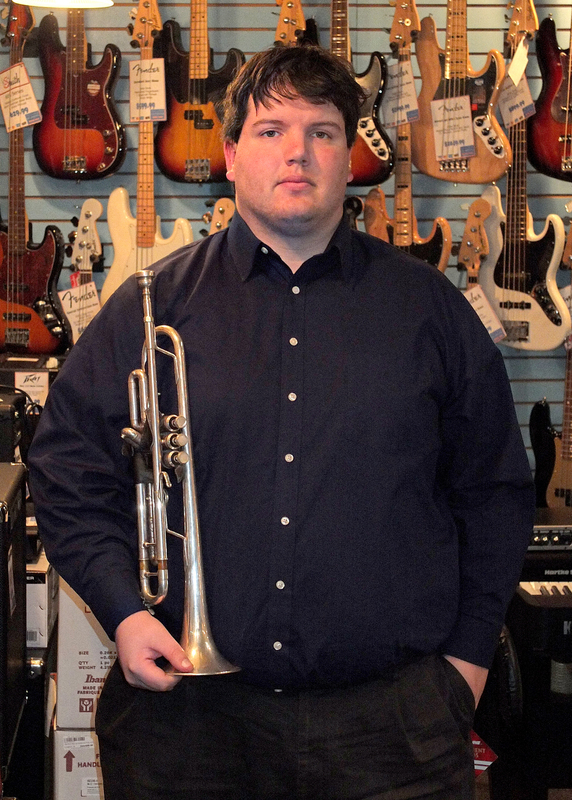 Dylan Gausman is an experienced and dedicated musician, student, and educator. With over 10 years of performance experience, he has played all across the DMV and can be heard on multiple studio albums. As a student aspiring to take his love for music into the classroom, he studies under Randy Runyon and Bill Hones at the College of Southern Maryland and is a member of CSM’s jazz band, ‘Solid Brass’. 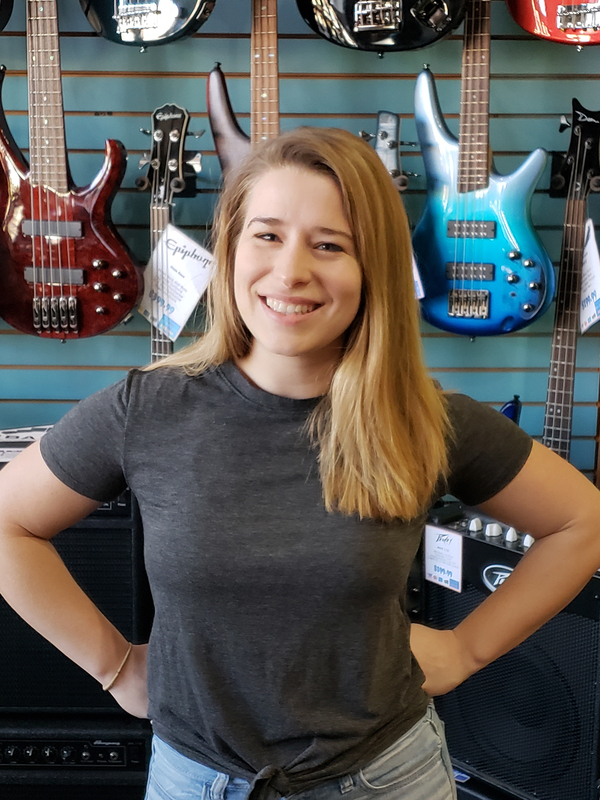 As a versatile instructor, Dylan’s teaching curriculum is based upon the goals and ambitions set by each student and guides them in learning the music they are interested in. Striving for an approach that gives students positive and constructive ways to learn, Dylan teaches a wide range of genres: Jazz, Rock, Blues, Classical, Funk, Pop, Metal, Country, Salsa and everything in between. Some artists who inspire his playing style include Michael Brecker, Marcus Miller, Steve Vai and John Coltrane. He enjoys digging deep into improvisational work and music theory, while creating a fun and comfortable, yet hardworking and motivating atmosphere. 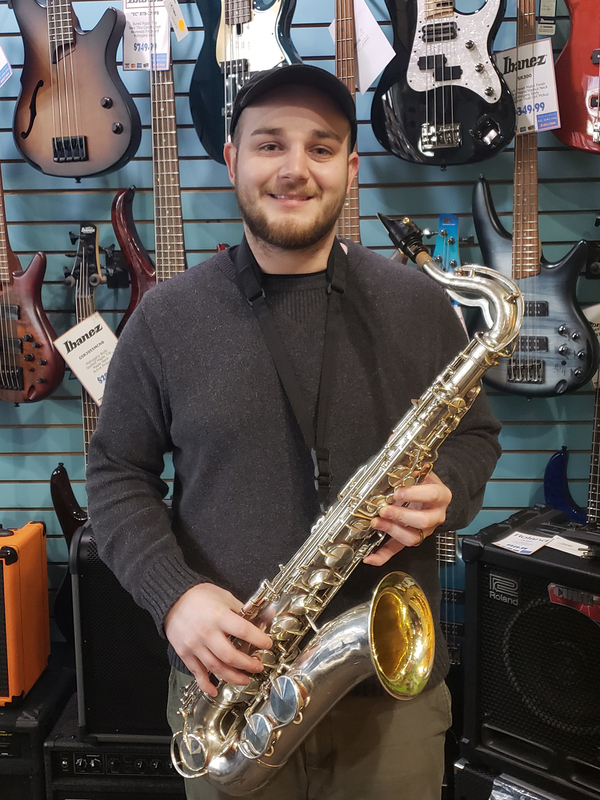 Dylan will complete his Associates Degree in Music at CSM in the Spring of 2019 and plans to continue his pursuit of knowledge through further education in music theory, composition, jazz studies and music education. The bonds he has made with his students over the past two years has shown him that connecting one-on-one, watching students develop and exercising his ability to inspire and share his passion is a gift he will cherish throughout his career. Amy Lloyd is a versatile vocalist and teacher. Amy teaches voice, theory and piano at Island Music Company. She holds a teaching degree from the University of Illinois and studied music at the College of Southern Maryland and Butler University. She sings with the Maryland Choral Society, as well as her church choir and other local groups. Amy's faith-based folk album entitled "All I Need" is available on Amazon, iTunes and Spotify. 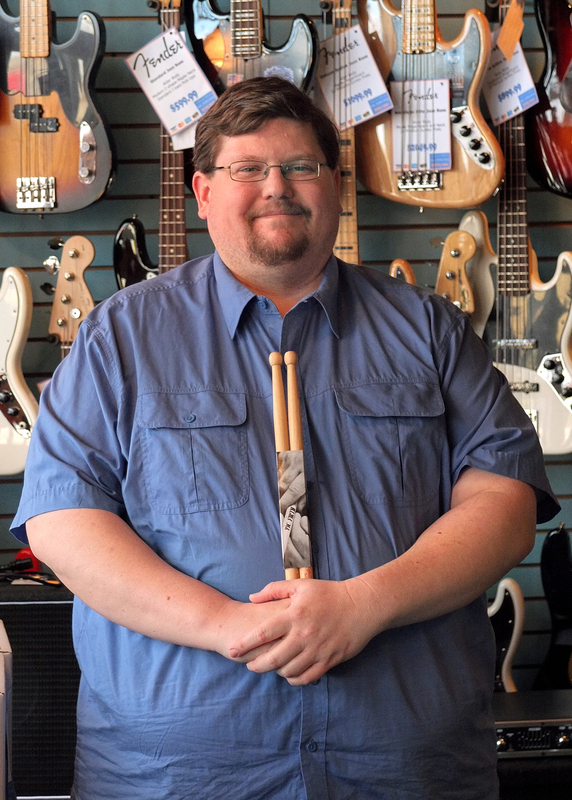 KJ has been playing drums for over 31 years and teaching for over 16 years. KJ has a long line of education in drums under his belt. He was in Marching, Symphonic and Jazz band through high school. KJ continued his drum education at St. Mary’s College of Maryland. In addition to being a phenomenal drummer, KJ also plays and teaches guitar and bass guitar. KJ covers all of the basics of learning music including, reading, technique, rhythm, etc. KJ designs the curriculum according to the needs of the individual student, whether it is help with school work and upcoming concerts, or learning a particular song or technique, or general betterment of playing. Bob Moore is a creative guitarist with nearly 30 years of playing experience. He is influenced by amazing players like Jimmy Hendrix, Eric Clapton, Joe Satriani, Robben Ford, Frank Gambale, and Tom Quayle, to name only a few. He has studied guitar privately with a number of fine rock and jazz guitarists, and has taken relevant music theory and guitar practice courses at both Towson University and Berklee Online College of Music. Notably, as a Berklee Online student, Bob earned a coveted course tuition scholarship for his solid classroom and performance efforts. Bob has teaching strengths in music theory (e.g., key signatures, scales, arpeggios, triads, "jazz" chords, chord inversions), improvisation (i.e., answering the question: "What would sound good over that chord? "), and playing technique (i.e., playing clean and fast! using legato, staccato, or two-handed techniques). Bob can teach guitar, bass, and ukulele, and focuses on playing Blues, Jazz, Folk and Rock music. Bob began teaching at Island Music in September 2018. Previously, Bob taught guitar in the early 90's while a college student. As Bob holds advanced degrees in other professional disciplines, he has been an Adjunct Professor at the College of Southern Maryland since 2001, teaching both Humanities and Information Technology courses. Currently, Bob teaches at Island Music Co. on Saturday's, from 10-6. He teaches musicians of all ages and all skill levels. If you're new to guitar and dream of shredding, or are looking for fresh ideas to rejuvenate your playing, Bob will develop a lesson plan and approach that will have you quickly playing songs, improving technique, and soloing with confidence. Call to book your lesson package today! Scott Burton has over a decade of private lesson teaching experience. He has taught students from age 4 through 60 in various areas including snare drum, drum set, mallets, ethnic percussion, and music theory. 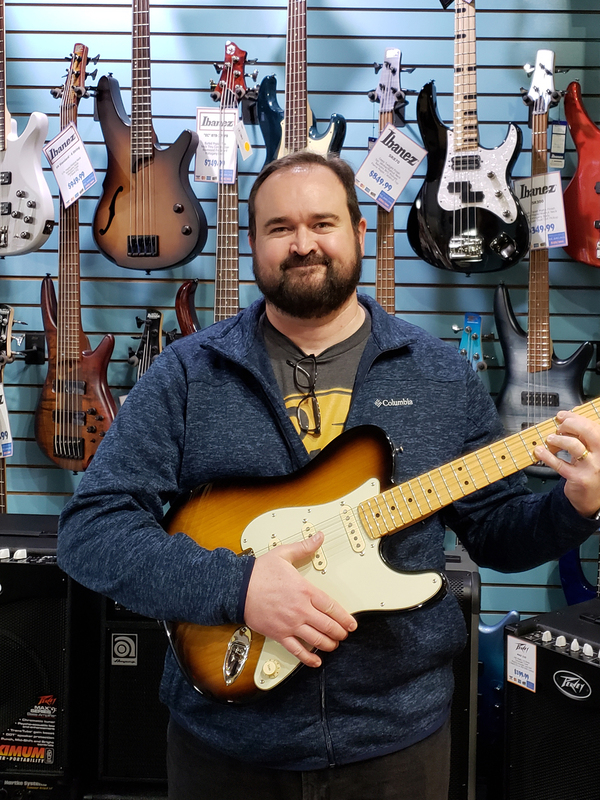 Scott is a professional music educator with an advanced certificate from the Maryland State Board of Education, a Bachelor's Degree in Music Education from James Madison University and is currently finishing his Master of Music at Shenandoah Conservatory. Karen Smith began her musical career singing in churches in West Virginia at an early age. By middle school, she was also playing piano and flute. 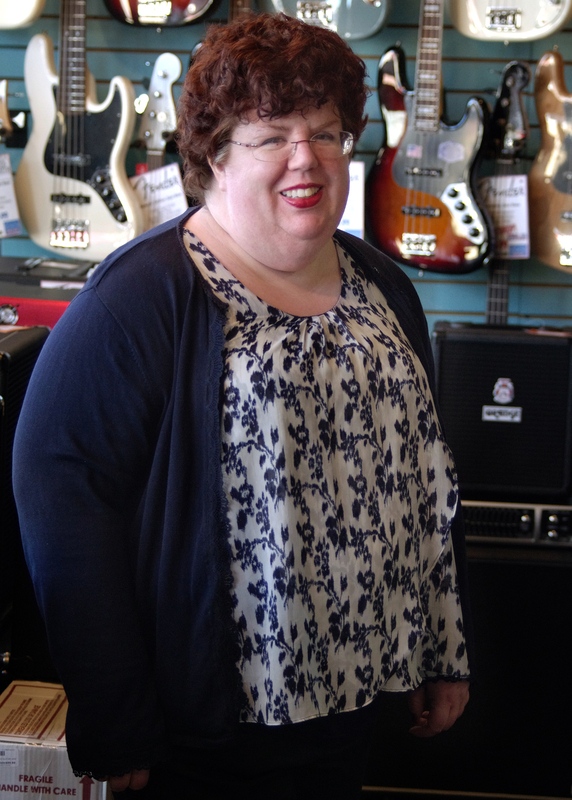 A music education graduate from Glenville State College in Glenville, WV, Karen has been teaching piano, music theory and beginning band in Charles County Public Schools for 20 years. During this time, she has served as pianist and music director at several churches and musical productions in the Southern Maryland region. Roy has over 30 years of experience teaching with a Ph.D. in Music Education from The University of Maryland. He has continued his graduate education with courses in Music and Music Education from St. Mary's College, West Chester State University and Old Dominion University. He specializes in Brass instruments such as trombone, baritone/euphonium, tuba and also fluently teaches other orchestra and band instruments. Since 1971, Roy has taught as several schools around the area as a band and orchestra instructor.